The Black Ops is considered our heavy weight wrist wrap. Training is of upmost importance to a weightlifter, but it is essential to protect your arms, including wrists, for the big competition. In order to protect your wrists from strain, use specially designed powerlifting wrist wraps. 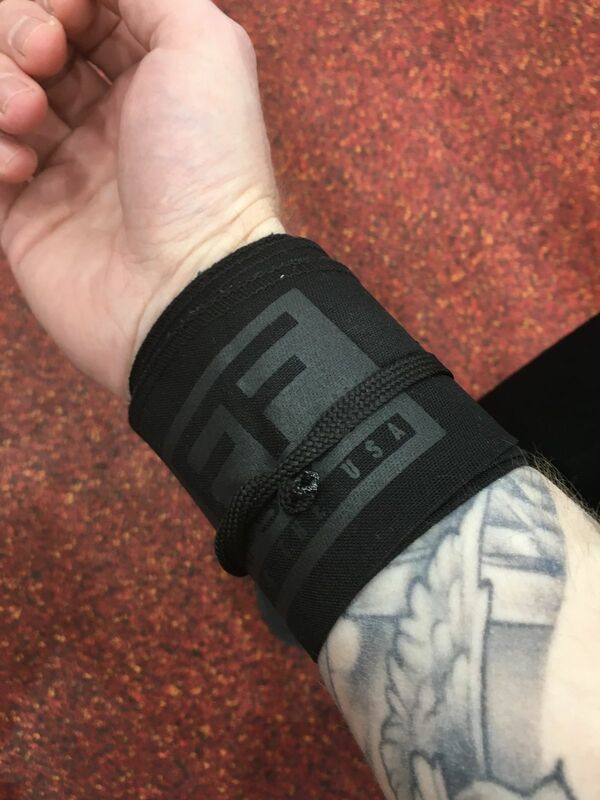 The Black Ops wrist wraps are not only made and tested by powerlifters, its lightweight structure ensures that there’s nothing on your mind except lifting heavy weights. What’s more, you can easily throw your wrist wraps in the washing machine on light cycle or wash it over the sink. Washable, durable, and lightweight, the military-themed wrist wrap will provide the necessary support to protect those precious wrists. I was able to go up in weight and there was a noticeable difference in support. They also look great and are very easy to put on, tighten and loosen. Tuff is the best!! Awesome review!! Gains going up!!!!! Thank you and #STAYTUFF !!! Customer service was great and purchasing was easy. The wraps are great. They are better than I even I expected. Provide great wrist support. I am a heavy lifter but as i have aged my joints are hurting. Need all the support I can get. These help out. Been at the gym about 6 months now finally getting where I want to and felt the need for wraps after straining my forearms a few times. Wasn’t sure the type of wrap to get since I’m no power lifter but I definitely do everything a gym offers. These turned out perfect for me. Stylish, just enough support, and the tighten/untighten with a twist really works. Wish I had these longer they truly improve my gym experience.